Welcome home! 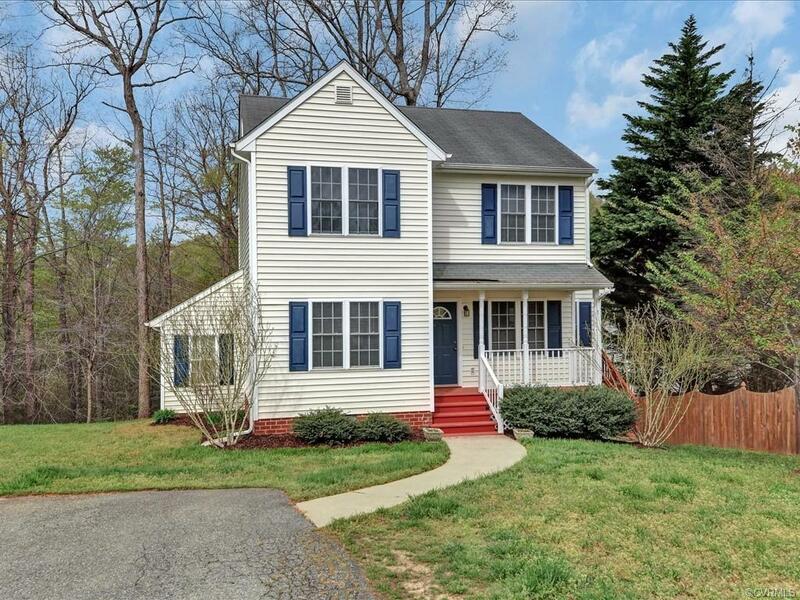 Well maintained two story transitional with three bedrooms and 2.5 baths in Chesterfield County. Half-length covered country front porch, attached storage shed, paved drive, vinyl siding & large family room with TV niche over gas fireplace. Updated kitchen with granite counter tops and some stainless steel appliances! New floors throughout the first floor and fresh paint throughout the whole house. Vinyl double hung windows, newer HVAC, newer hot water heater and much much more! Don’t miss this opportunity because this will not last! Directions: Courthouse To Providence, Left On Creek Top Way.